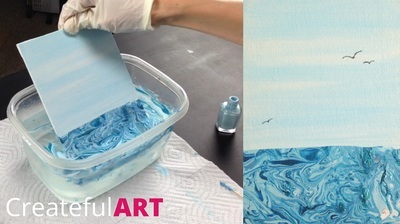 Welcome to Createful Art! This summer kids can enjoy a downloadable art activity book that teaches them about art. 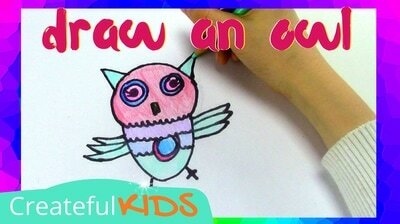 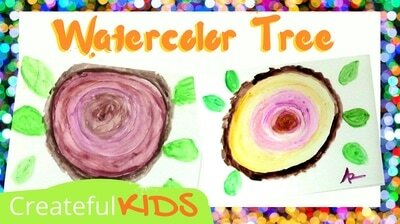 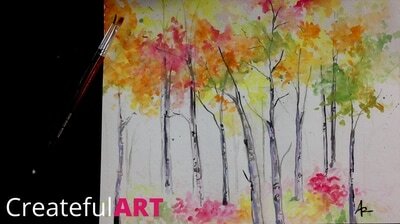 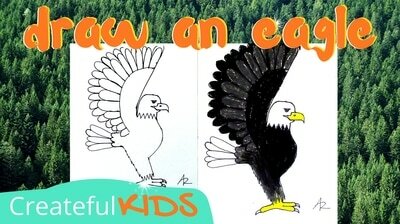 Kids enjoy art lessons with activities themed around going outside and enjoying nature. 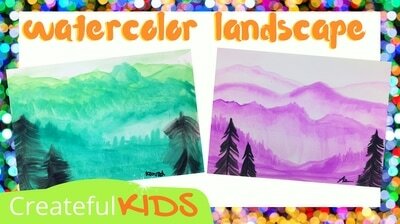 In the book kids will learn about drawing, painting with watercolor, and about famous artists centered around the theme in the woodlands. 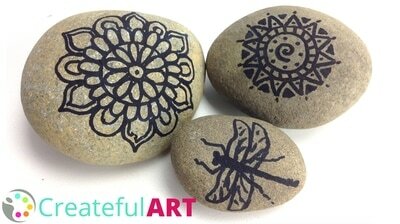 So get outside enjoy some art and be creative! 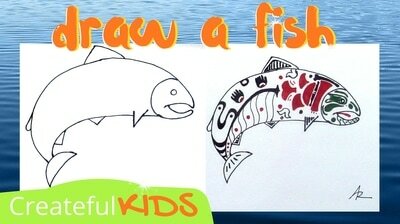 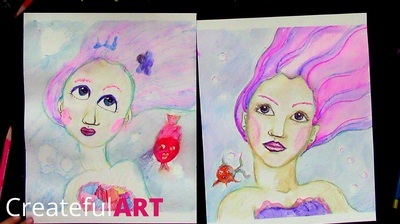 How to Draw Portraits and create a Whimsical Mermaid! 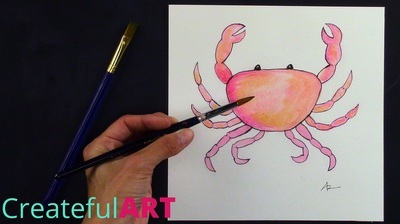 How to Draw a Crab and Paint It! 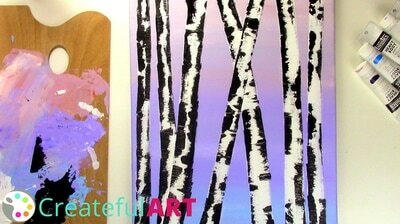 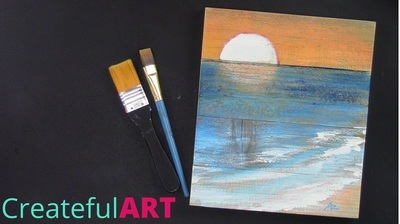 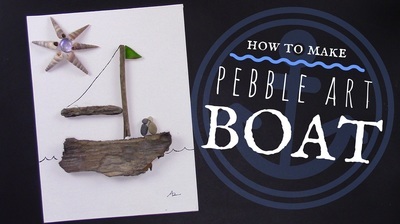 How to Paint a Beach Scene on Wood! 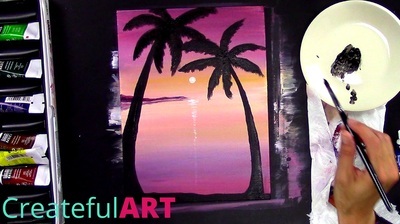 How to Paint a Sunset with Palm Trees! 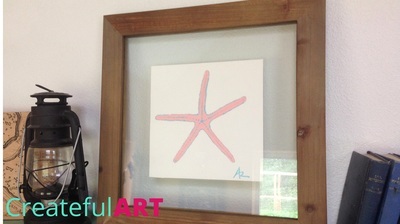 How to Paint an Easy Starfish with Stamping! 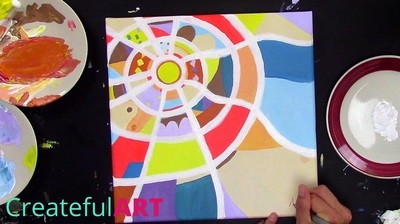 How to paint a sun design! 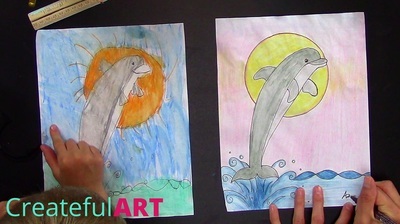 How to Draw a Dolphin! 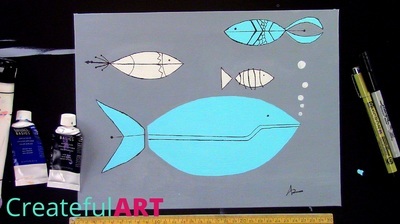 Mid Modern Art Fish Painting! 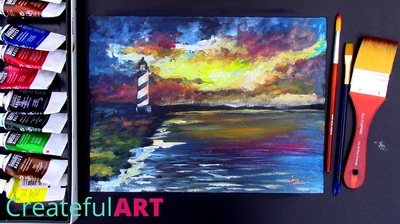 My sunset on the beach in acrylic. 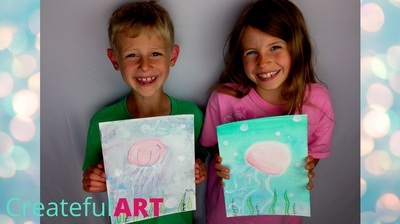 Thank you Createful Art ! 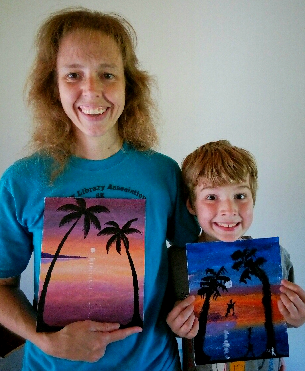 Very fun to paint, especially since Matthew could do it as well!